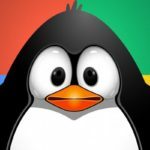 In this article, you will find many good tips to help you protect your website against the future Google algorithm updates, whether it be an entirely new update or further updates of previous Penguin or Panda releases. But before we start giving tips to prevent your site from future updates, I would like to be clear about one thing: I can’t assure that all these tips will definitely protect your site from Google updates. It’s because every time the algorithm changed, it taught us one thing; “nothing is for certain”, sometimes even the good websites are downgraded in the SERPs seemingly for any reason. However, by following my tips you will put a stronger repository at your disposal to prevent your site(s) being harmed from algorithm updates and refreshes of old algorithms. Google is very much clear in its strategy, it doesn’t want anything that doesn’t belong to you; which implies that it doesn’t want any content that is already available on other website. Each of the Google updates and penalties mainly focuses on the quality of web search results. So, try to come up with fresh and useful content. Also make sure the content you are providing adds value to your readers. First check whether your content is unique. You can check the uniqueness of your content by using a tool like Copyscape. Next check whether it is completely free from Spelling and Grammatical errors. For this too, many tools are available; utilize those tools to check your quality. 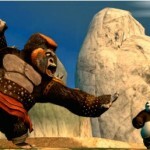 Integrate the media elements like related images, audios and videos to improve the compelling experience of your users. Make sure your content provides value to your site and users. Can you be happy by reading your content? Just imagine for a while that you are a new visitor to your own site. After reading the content, are you really satisfied by the information provided over there? It is very essential to develop natural links on your website; don’t insert them in your content unnecessarily. Make sure some of your links are nofollow. Many people utilize social media to improve traffic of their websites but still some people do not realize its importance. You need to build an active social media presence and encourage people to share your content on their own networks. Google uses the social sharing record to determine how relevant and useful your website is. So, make sure that social network buttons for popular sites like Google Plus, Twitter, Facebook, and Pinterest are installed on all content pages. You can install them easily by adding plugins or code into your site. But keep in mind that your website should not have fake likes and followers. Otherwise your website will get affected by future algorithm updates. 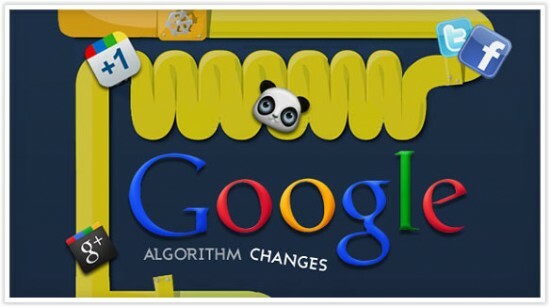 ‘Quality’ is a major determining factor used in every Google algorithm update. The bounce rate refers to the percentage of visitors who arrive on your website and exit immediately without taking any action. If the bounce rate is more than 80%, Google will immediately determine that your website does not deserve high search engine rankings. Quality I mentioned here is not only for content but also for layout, design, loading speed, etc. So, by using Google Analytics, find out which page has high bounce rate and look into other ways to improve visitors’ experience. Make sure the keywords you are targeting for particular title are repeating naturally. Don’t write the content with too much keyword repetition. Make sure it has a right balance for your content. If Panda and Penguin updates find more keywords on your site, it will be more dangerous compared to having only a few keywords. Google crawls the website deeper; so make sure the searcher finds good usability experience while visiting your website along with fresh and quality content. If the navigation structure of your website is bad, then your search rankings are bound to suffer. If your website is not responsive, you will lose many visitors since half of the people browse either from smartphones or tablets. If they can’t access your site on their mobile devices, then you will lose your website traffic. Google does not just want more content, but also more fresh content. So, keep your website up to date with frequent revisions and blog posts. You can get good authority by providing quality content but this alone is not enough. First you need to build awareness about yourself and your website. Most importantly, you and your website should be found on many relevant and high quality sites as much as possible. Make sure they link back to your site. If you get more quality links back to your website then the search results of your site will be good. Please keep in mind that the links have a major role to determine the search ranking factor of a website. But the quality is more important than quantity. 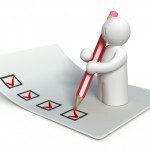 Only few links from relevant authority sites will be more beneficial than the hundreds of links from different niches. Google gives less weightage for authority signals like Pagerank and more for LDR (Linking Domain Relevancy). For example : If you have a website about dog food, it will be good if you build links from sites about pets or dog food. Instead of this, if you add irrelevant links from unrelated niches, then your website may get affected by Google updates. Infact, this is already a Penguin penalty factor. So, make sure atleast 30% of the links to your website are niche relevant. They don’t have to be exactly in the same niche, but they should have some LDR. Anchor text diversity is a must but most of the people are not aware about this. They use anchor text in a wrong way. Instead of replicating a legit link profile, they mix that with spammy or keyword stuffed anchor text like “This site”, “Here”, etc. They never look natural to Google. Due to this, your your website may get affected in future by further updates. Like Penguin, in future the Google updates may use anchor text as one of the factors. One of the best ways to protect your website from future update is to look like a big brand. Unbranded niche websites are going to get hit the hardest when the next update rolls out. To build brand signals, you don’t need a big marketing budget; just create a strong social media presence, branded searches, Google authorship.. That’s it! Last but not the least, always give preference to white hat SEO. It is a secret for your website’s success. Of course, white hat SEO will take more time to give results, but you can be sure that your website’s future is more stable than a website ranking due to shady and manipulative SEO techniques. 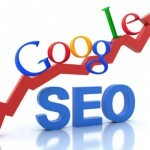 Google offers comprehensive guidelines regarding many of their ranking factors. If you follow them in word and spirit, your website should not get affected next time when Google updates its algorithm. You can find the Webmaster Guidelines here. It is difficult to know exactly how Google will change its algorithm, but I hope the above suggestions will safeguard your website against future updates. 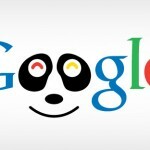 Google Panda 3.4 Is Rolling Out Now!